CNC Injection Molder : Newbury V4-30ARS CNC Injection Molding Machine CNC Controls. Marvel mdl. 81A11PC Automatic Vertical Miter Band Saw s/n E-473411PC w/ Marvel Controls. Branson mdl. 8400 Ultrasonic Welder. Famco Arbor Press. Falcon mdl. F-36/DC Dry Blast Cabinet. Rockwell Pedestal Drill Press. (2)Kingsley mdl. 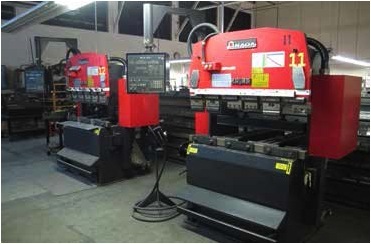 AM-100-W Hot Stamping Machines. Terminator” Crimping Press s/n 1053. “K-Press” mdl. 56435-5 Crimping Press s/n 114146. Amp mdl. 818973-1-D Crimping Press s/n 134546. Amp mdl. 682575-5-AC Crimping Press s/n 144678. Amp mdl. 230770-2 Crimping Press s/n 117224-G.DMC mdl. WA25 Pneumatic Crimping Tool. Teat Sets. (4)Cirris “Signature 5000” Connector Test Sets. Pallet Racking.Steel Shelving and Desks. Shipping Supplies.